The Czech president, Vaclav Klaus, signed the landmark Lisbon Treaty on Tuesday, making his country the last of the 27 European Union countries to approve it and allowing its unifying, strengthening measures to go into force shortly across the bloc of half a billion people. Mr. Klaus signed the treaty just hours after a Czech court concluded that the document was compatible with the country's Constitution. 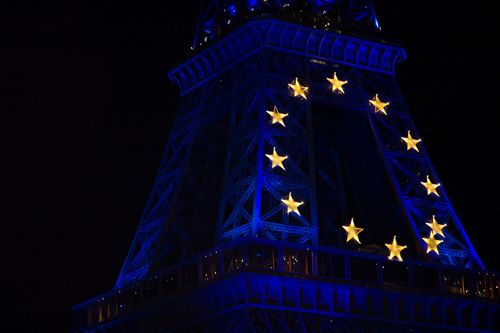 The signing raises the prospect of an empowered Europe with an enhanced global stature. The treaty, which may go into effect as early as Dec. 1, creates a permanent presidential post and sets up a more powerful foreign policy chief supported by a network of diplomats around the world. It seeks to make an increasingly unwieldy bloc more workable by putting in place a new voting system, which reflects countries' population size, while reducing the number of areas where one country alone can block a proposal. It also gives more power to the directly elected European Parliament.